1. Write to the Australian Embassy in your country to request Australian Government intervention, support and help for Schapelle: don't let them forget her. If you are in Australia write letters to your Members of Parliament. 2. Join a forum or supporters group. For example, the new Schapelle Corby Facebook Supporters Group, and discuss with others how to help. 3. Perhaps buy her book and pass it on to others so that they can read about Shchapelle's never ending nightmare in her own words. 4. Write and tell the media... but please be careful. Whilst very many journalists are honorable, many are unscrupulous in seeking circulation and will not hesitate to distort or print the most vile lies (such as the tourist's invention that Schapelle was seen dining with her sister in Bali). Ridiculous as it is, fantasy like this does distort public opinion and hurts Schapelle badly, because some people do actually believe it, simply because it was printed. In using the media to inform, please do be careful. 5. Tell your friends, collegues, family about this. Direct them to this site and others, so that they can inform themselves. It is extremely important that more people learn about this, and that Schapelle is not forgotten. 6. On the internet: write a blog, or comment on a blog; write about this on forums; put a link to this or other Schapelle sites in your sig on forums/blogs/whatever; use MySpace, FaceBook, Bebo; interact by whatever means you can find. It is imperative for Schapelle that her despair is not brushed under the carpet, and that the whole world knows about it, and ultimately acts. 9. If you have any particular skills, use them: paint a picture, write poetry, write songs. We will even publish what we can here if you send them. Use your skills to touch the hearts of others, and inform them of this shocking situation. Finally... please don't give up and don't walk away, however long it takes. 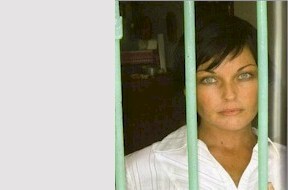 Schapelle can't walk away, and she can't campaign for herself. You can be part of the global consciousness that does it for her.